If dad is older than 40, then it’s likely that he remembers the BBC’s nuclear fallout drama Threads, which has been re-released on DVD after extensive remastering to vastly improve the picture and sound quality compared to earlier releases. It may be that Threads traumatised dad back in 1984 when it was first aired – but if so, revisiting the things that gave us nightmares as children can be therapeutic! Threads is outstanding and iconic TV drama, either way. 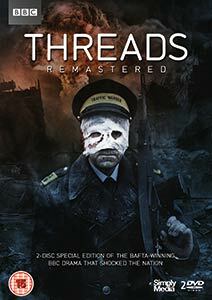 See our review of Threads. 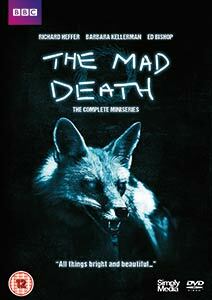 For an alternative DVD title, The Mad Death is a little more obscure than Threads. It hit screens in 1983 and was controversial for its uncompromising depiction of rabies. Sounds like fun? Well, maybe not, but it’s certainly scary. Barbara Kellerman, the leading actress in the series, was always a hit with male viewers. See our review of The Mad Death. If dad’s of the sci-fi persuasion, does he also insist that vinyl is the best medium for music? 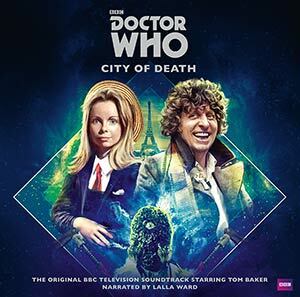 Why not combine his tastes with recently-released titles from the original Doctor Who series, The Tomb of the Cybermen and City of Death, which provides the full unedited soundtrack across two 180g records, presented in amazing gatefold packaging. They feature two of the best Doctors – Patrick Troughton and Tom Baker. If dad enjoys genre fiction, why not pick up a collector’s edition from The Folio Society’s range of well-produced books? We recently reviewed the horror classic I Am Legend and found it taut, frightening and clever. This edition has amazing illustrations to bring the prose to life. See our review of I Am Legend. 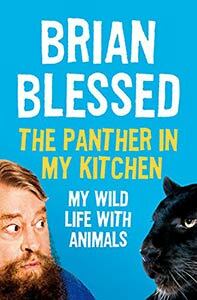 If dad prefers to read theatrical tales and has an interest in animals and their welfare then you can’t go wrong with Brian Blessed’s latest book. The larger-than-life screen legend’s latest title mixes showbiz anecdotes with tales of all the animals that have come into his life over the years. Dad may well howl with laughter and shed a silent tear, but he’ll likely be hooked. See our review of The Panther in my Kitchen. Does your father fancy himself as the smooth, sophisticated international man of mystery? If so, the patron saint of well-dressed, impeccably-mannered men, the late Sir Roger Moore, brings all his charms to this account of the making of his first Bond movie, Live and Let Die. Comprising diary entries that Sir Roger kept at the time, the book is a charming, funny and down-to-earth account of the realities of being James Bond. 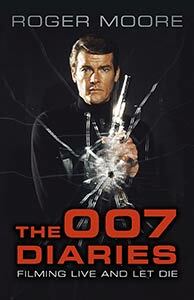 Moore brings all his self-deprecating humour to his narrative, with plenty of references to his troublesome kidney stones and other ailments, bringing to life some of the behind-the-scenes characters who worked on Bond in the early 1970s. See our review of The 007 Diaries.